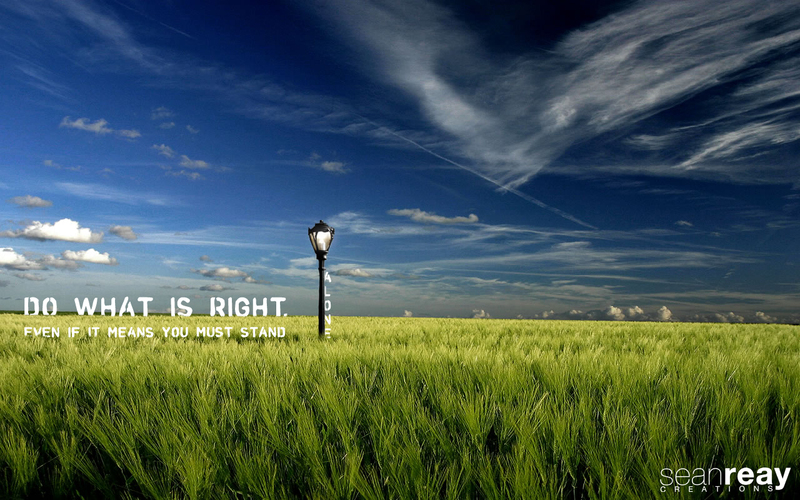 Do what is right, even if it means you must stand alone. This entry was posted in Graphics, Visual Aid and tagged 1280x800, choices, chose the right, CTR, desktop, graphic, honesty, integrity, sean reay creations, stand alone by Sean Reay. Bookmark the permalink.